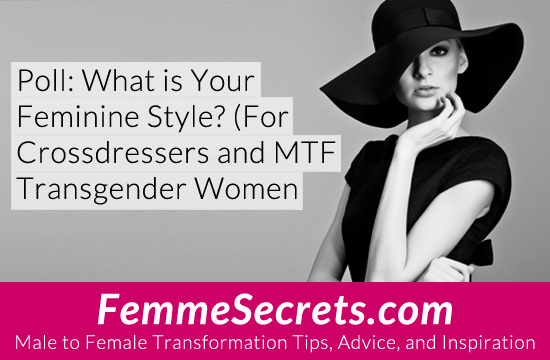 Crossdressers and TG Women: What is Your Feminine Style? Or maybe you have your own totally unique style? Your personal style tells the world who you are. Are you presenting yourself as the woman you want to be? So what’s YOUR feminine style? Take my poll and leave me your comments below! I’d love to see your style, so be sure to upload a photo, too! P.S. Whatever your feminine style is, it’s time to step out as your most gorgeous femme self! 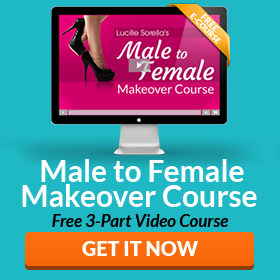 Click here to learn how The Stepping Out Secrets Program can help you become the woman you’ve always wanted to be. What is your feminine style? My style is “The girl next door” look.